Old garage signs, enamel signs, tin, illuminated etc? 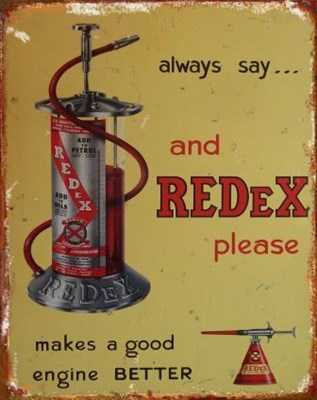 Just do a Google image search for "old Redex sign"
Posted: Fri Aug 05, 2016 7:57 pm Post subject: Old RedeX garage sign. 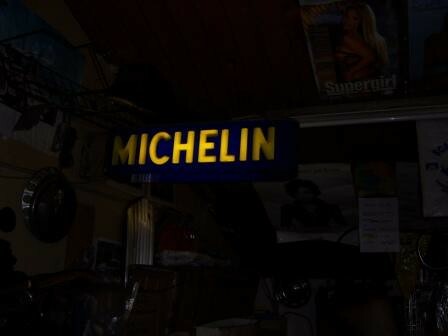 Here is my old Michelin badge. Its big & heavy and I dont know much about it. Maybe some one inhere has info on it ? I must get around to taking photos, but my secret fetish is for old garage thermometers. I keep an eye on those for sale but prices have gone through the roof and I haven't bought in a few years now. Oh, and they must have the original thermometer, not a replacement. my secret fetish is for old garage thermometers. Oh, and they must have the original thermometer, not a replacement. Agree - always set the bar high - no repro stuff.